Die erste Sammlung „akustischer/elektrischer“ Archtop-Gitarren, die so konzipiert wurden, dass sie als wirklich akustische Instrumente gespielt und verstärkt werden können . 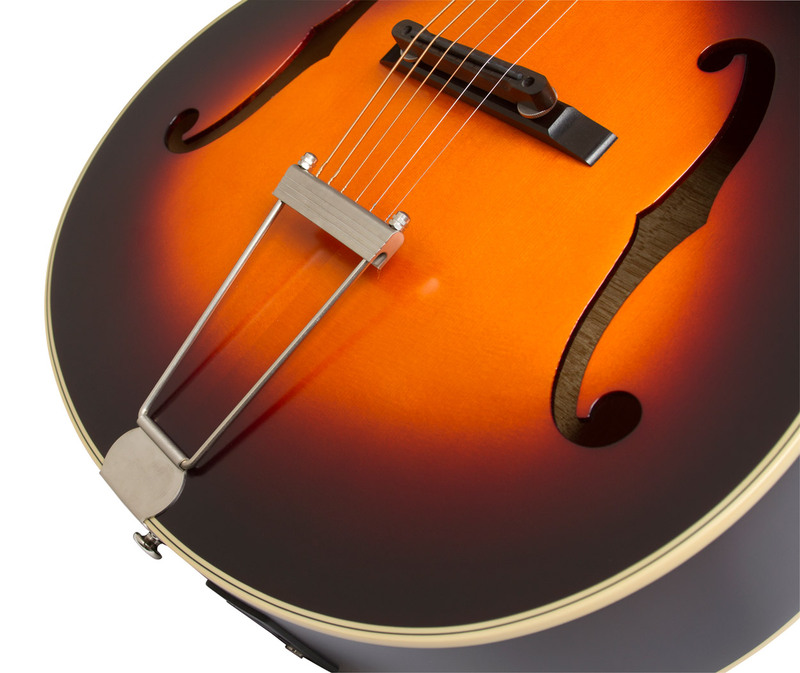 Epiphone, der Marktführer im Bereich preisgünstiger professioneller Instrumente präsentiert die neue Masterbilt Century Collection™, wozu die De Luxe & De Luxe Classic, Zenith & Zenith Classic und die Olympic gehören. 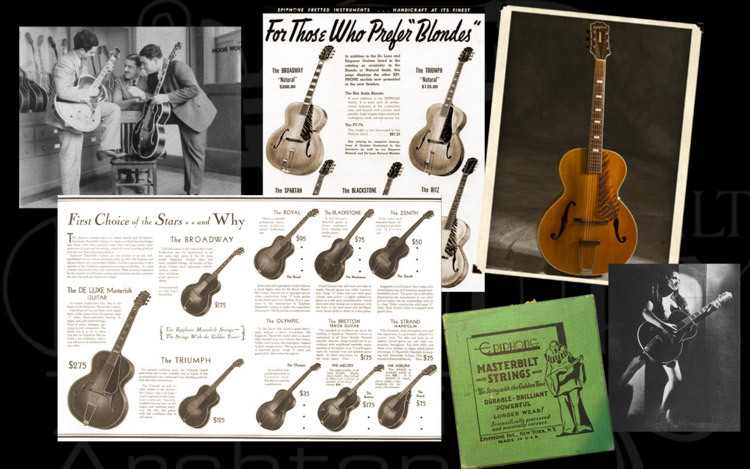 Die Masterbilt Century Collection™ ist die erste Kollektion „akustischer/elektrischer“ Archtop-Gitarren, die so konzipiert wurden, dass sie als wirklich akustische Instrumente gespielt und verstärkt werden können. Sobald Sie eine dieser Gitarren spielen, fühlen und hören Sie sofort den Unterschied zwischen den heute üblichen akustischen „Flat Top“-Gitarren und dem einzigartigen Klang einer Masterbilt Century. Stöpseln Sie sie ein und Sie werden staunen! Sie müssen es wirklich hören, um es zu glauben. 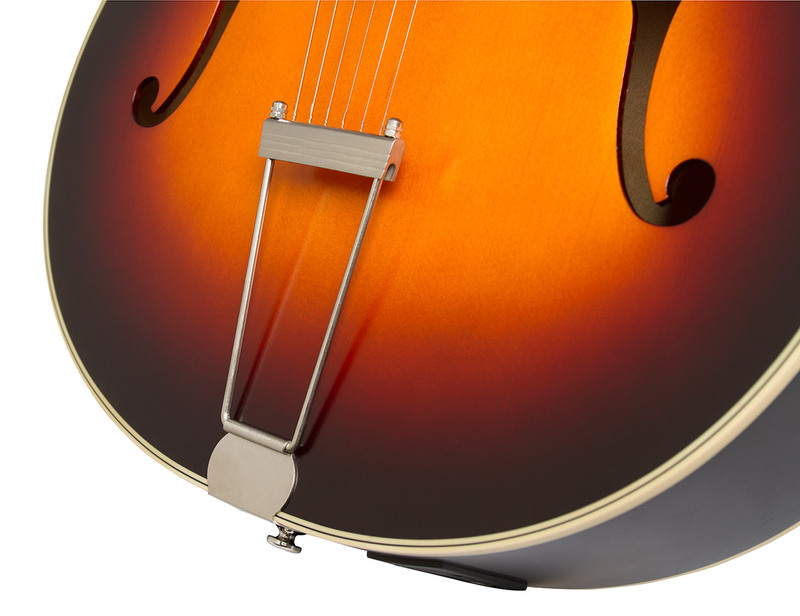 Mit dem eSonic™ HD-Vorverstärker und dem Shadow NanoFlex™ HD-Under-Saddle-Tonabnehmer können Sie jetzt jede akustische/elektrische Masterbilt Century Archtop-Gitarre an einen Verstärker oder eine PA-Anlage anschließen und den wunderschönen, dynamischen und wirklich akustischen Klang ihrer Gitarre auf Bühnen jeder Größe hören. 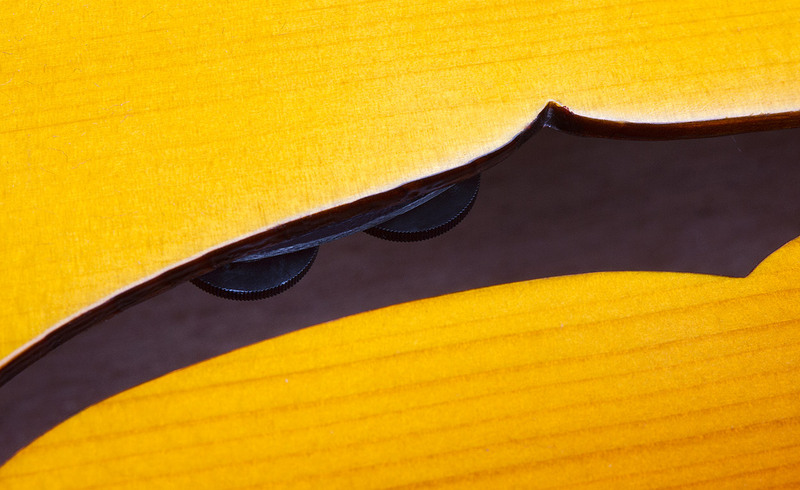 Wenn Sie an Flat-Top-Gitarren gewöhnt sind und bisher nur alte Archtop-Gitarren aus Schichtholz gespielt haben, wird der Klang einer Masterbilt Century eine Offenbarung sein. Alle Gitarren aus der Masterbilt Century Collection weisen eine massive Fichtendecke auf und klingen noch besser, je häufiger Sie sie spielen. Hinzu kommen die den 1930er Jahren nachempfundenen und auf eine Übersetzung von 18:1 aufgerüsteten Tuner, Griffbretter aus Ebony oder Rosewood und niederohmige akustische Tonabnehmer, die speziell dafür konzipiert wurden, um den einzigartigen akustischen Klang der Masterbilt Century Collection wiederzugeben. Die De Luxe und die De Luxe Classic verfügen über ein kultiges Design mit großem Archtop-Korpus mit entweder einem runden Schallloch oder „klassischen“ F-Löchern. Beide erzeugen einen kräftigen, vollen Ton, der sich in Bands beliebiger Größe durchsetzen kann. Die Zenith und die Zenith Classic sind Archtops mit mittelgroßem Korpus und beeindruckendem Punch im Mittenbereich, der sich ideal für Sänger eignet. Die Zenith ist ebenfalls mit rundem Schallloch oder F-Loch erhältlich. 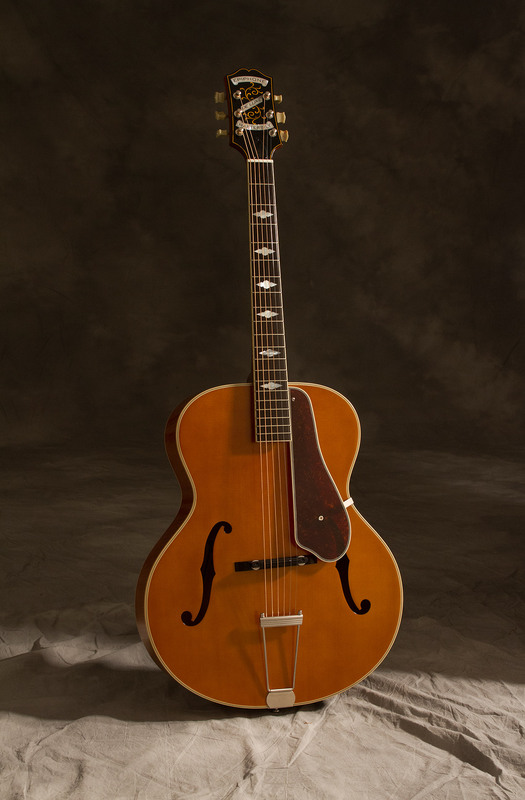 Die Olympic ist eine Archtop-Gitarre mit kleinem Korpus und F-Löchern, die durch ihre glasklare Definition für Singer/Songwritern und Solisten geeignet ist. Die erste Kollektion „akustischer/elektrischer“ Archtop-Gitarren, die so konzipiert wurden, dass sie als wirklich akustische Instrumente gespielt und verstärkt werden können. 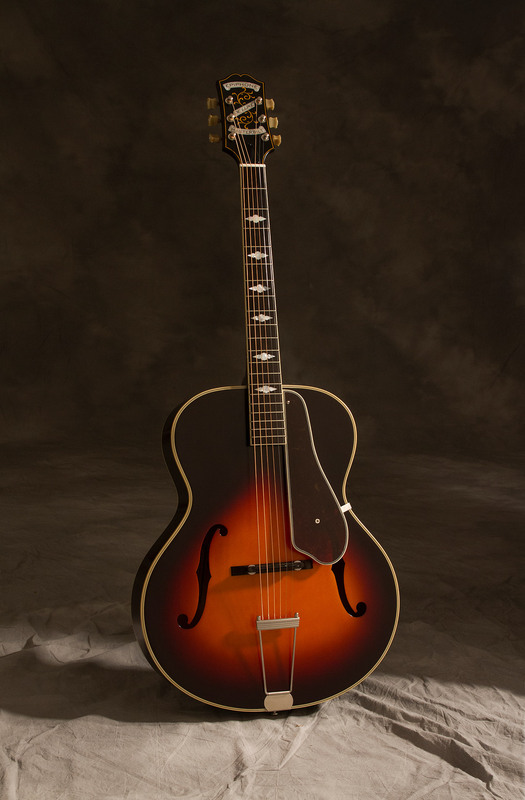 Entdecken Sie noch heute die Masterbilt Century Collection. Unter Epiphone.com finden Sie Musikdemos, Referenzen und vieles mehr! 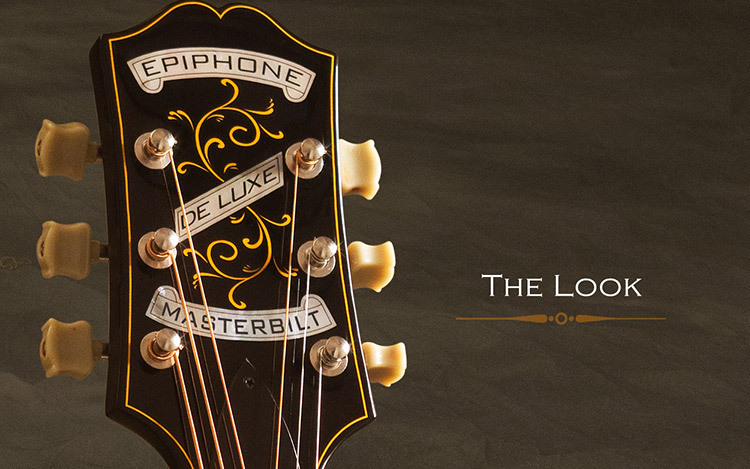 The Masterbilt Century Collection’s De Luxe and De Luxe Classic recreate the iconic Epiphone full-body archtop tone that made the House of Stathopoulo world renowned. 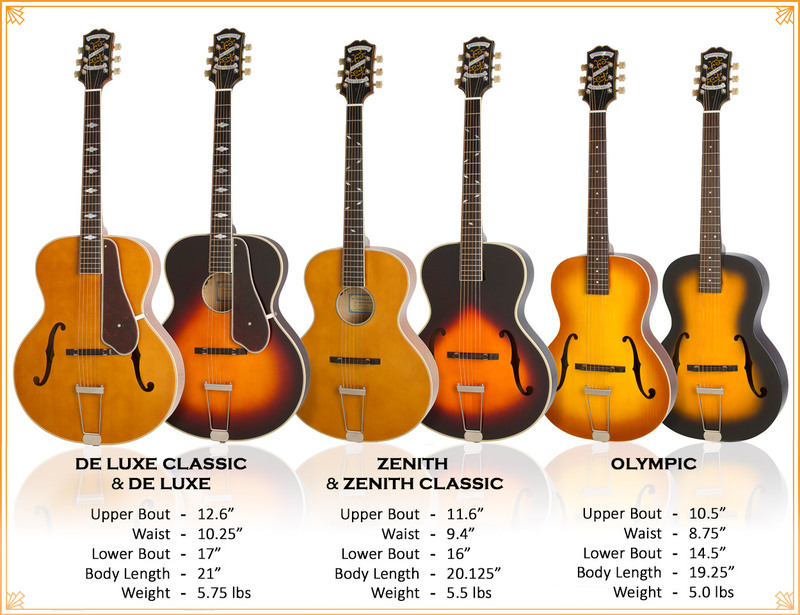 Epiphone’s original archtops were designed to be heard over a big band and the new Masterbilt Century De Luxe (round hole) and De Luxe Classic (f-hole) carry on that tradition with a big natural sound and elegant style. 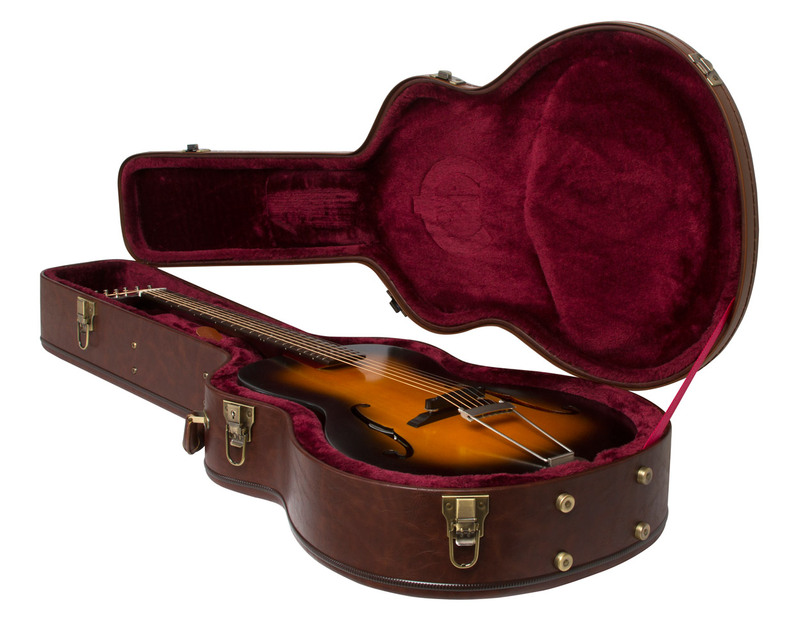 The Solid Spruce top has classic longitudinal bracing and the deep tone of the De Luxe and De Luxe Classic can be heard through a mic or amplified with a specially designed eSonic™ HD preamp and Shadow NanoFlex™ HD Under-saddle pickup electronics with mounted controls for Volume and Master Tone. Both the De Luxe and De Luxe Classic feature an Ebony fingerboard with large “notched diamond” inlays, beautiful 3-ply Ivory/Black binding, a recreation of the vintage Epiphone headstock with “mother of pearl” banner inlays, bone nut, and historic aged nickel Epiphone 18:1 tuners. 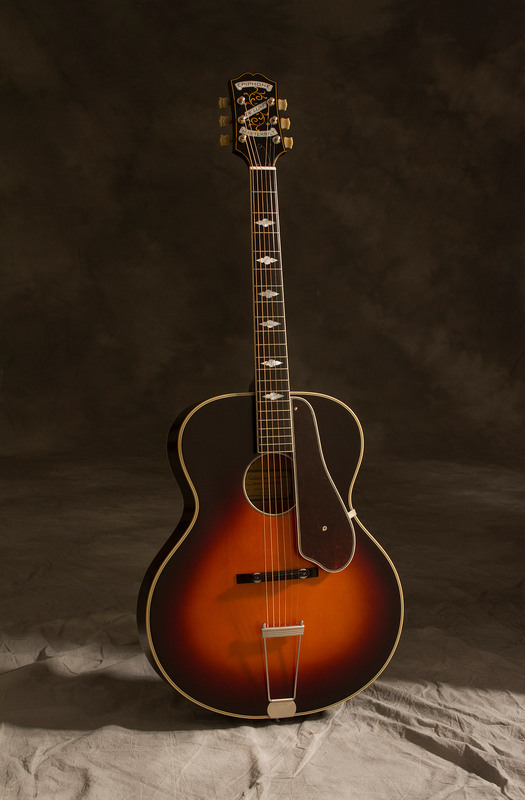 The Masterbilt Century Deluxe archtops are available in both a Vintage Natural and Vintage Sunburst aged gloss finish. The optional De Luxe Masterbilt Century Hard Case comes in a beautiful Russet Brown modeled to look like the original leather-covered Masterbilt cases from the 1930s. 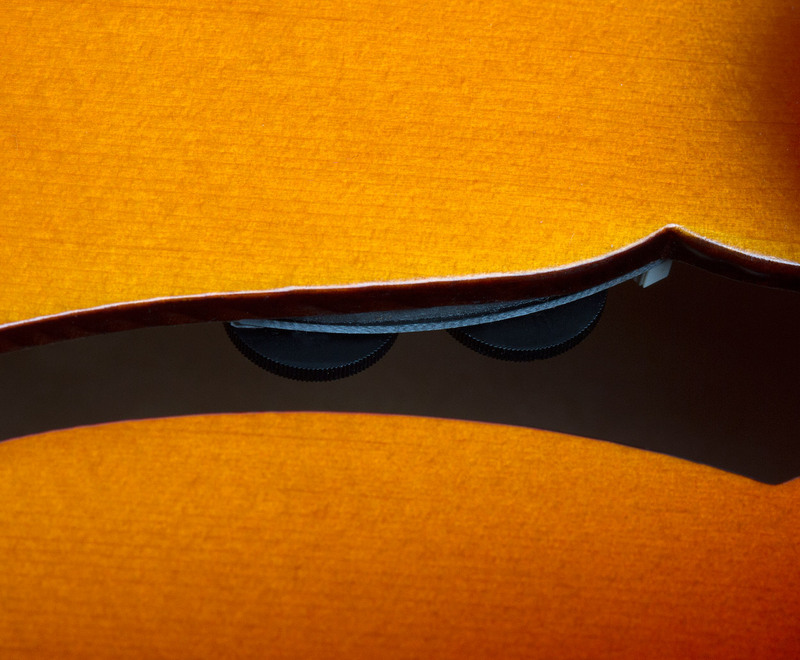 Fingerboard Inlay: Pearloid "Notched Diamond"
Like Epi’s first generation of archtops, the new De Luxe Classic has a unique body profile with a 17” lower bout, a 12.6” upper bout, a 10.25” waist, and a 21” body length. 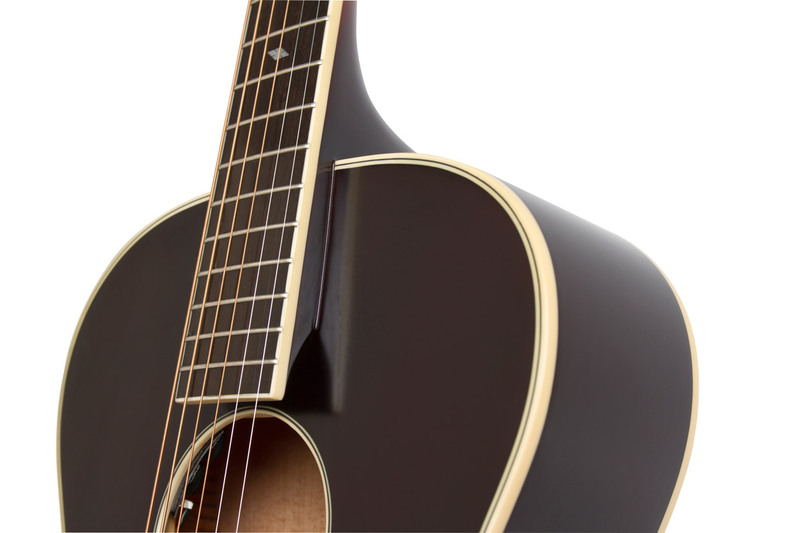 With its signature f-holes and Solid Spruce top, the De Luxe Classic has incredible punch as a rhythm instrument that flattop guitarists will discover can easily cut through a mix better than most any other acoustic. Both the body and top feature 3-layer Ivory & Black color binding while the Ebony fingerboard has single layer Ivory color binding. The f-holes also have 2-layer binding. The 5-piece Hard Maple and Mahogany neck has a full rounded “C”- profile that is glued to the body with a dovetail joint for a precise fit so the De Luxe Classic will resonate as one piece of wood. The Ebony fretboard has 20 medium frets, a 25.5” scale length, and pearloid “Notched Diamond” inlays modeled after the original Masterbilts. The full tone of the De Luxe Classic sounds beautiful unamplified on a small stage or in the studio. 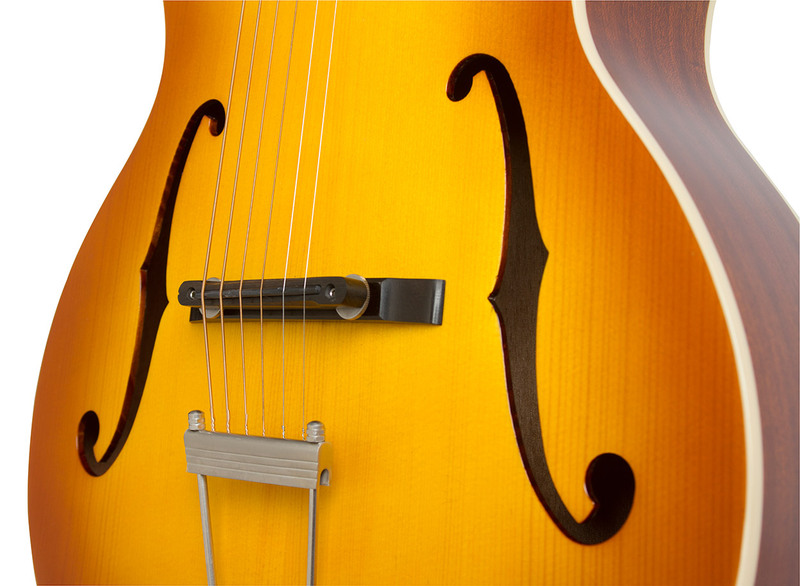 But now the cutting edge eSonic™ HD (High Definition) preamp system and Shadow NanoFlex™ HD Under-saddle pickup make it possible for archtop players to hear their instrument amplified exactly as they hear it unplugged. 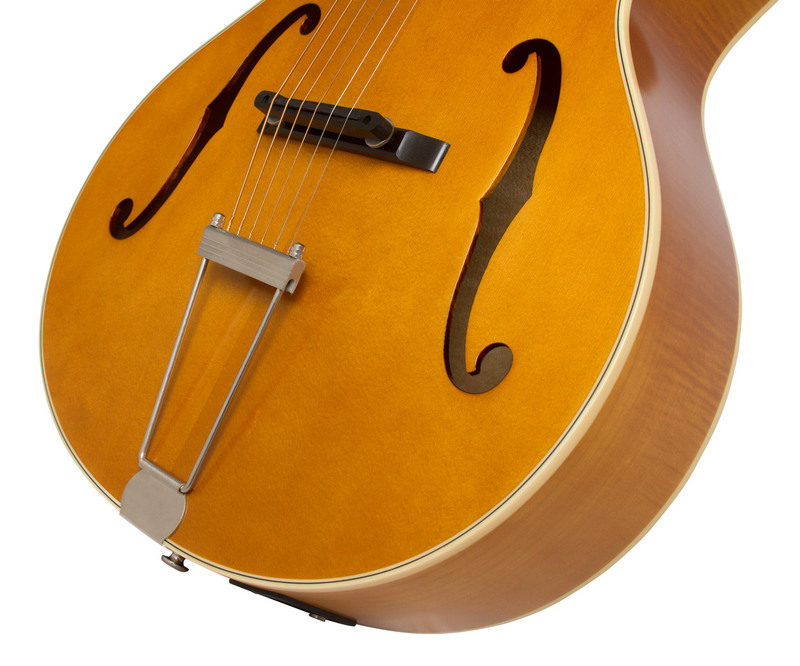 No archtop player has ever heard an acoustic guitar more accurately represented through a sound system before. 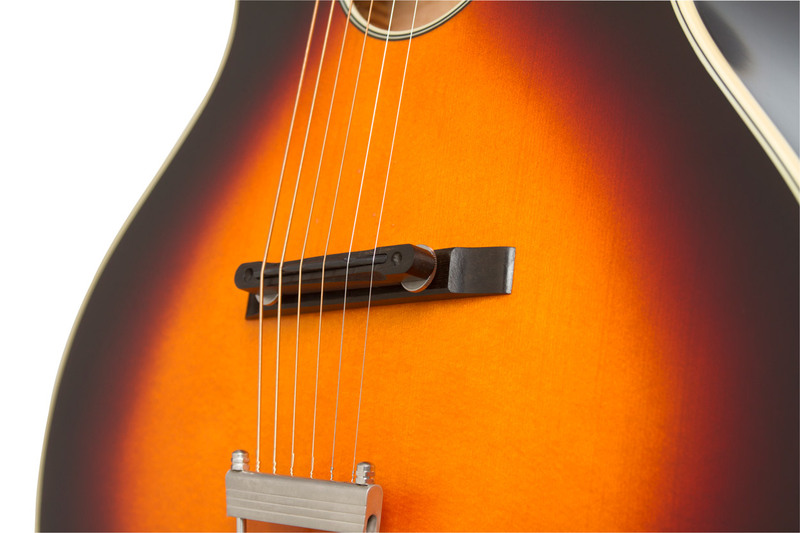 The Shadow NanoFlex HD Under-saddle pickup has easy-to-access controls for Master Volume and Master EQ mounted just inside the lower f-hole. 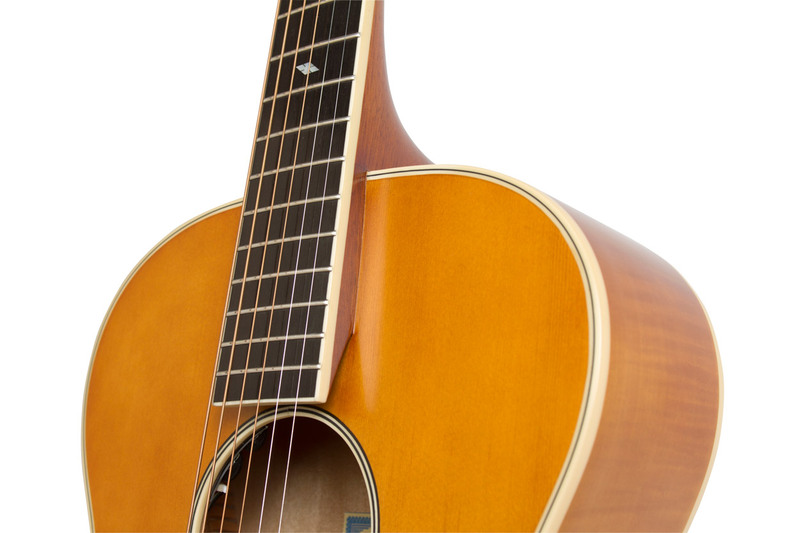 Now you have complete control over how much of the acoustic guitar is amplified. 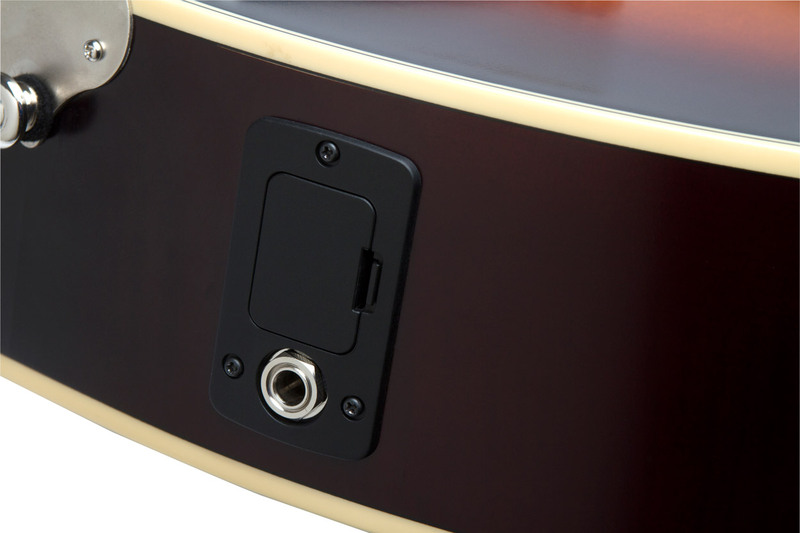 The pre-amp system is powered by a standard 9-volt battery that is easy to access, located near the ¼” output jack. The De Luxe Classic comes with Historic Epiphone Re-issue Tuners with Marboloid "Crown" buttons with an upgraded 18:1 tuning ratio for fast and accurate tuning. 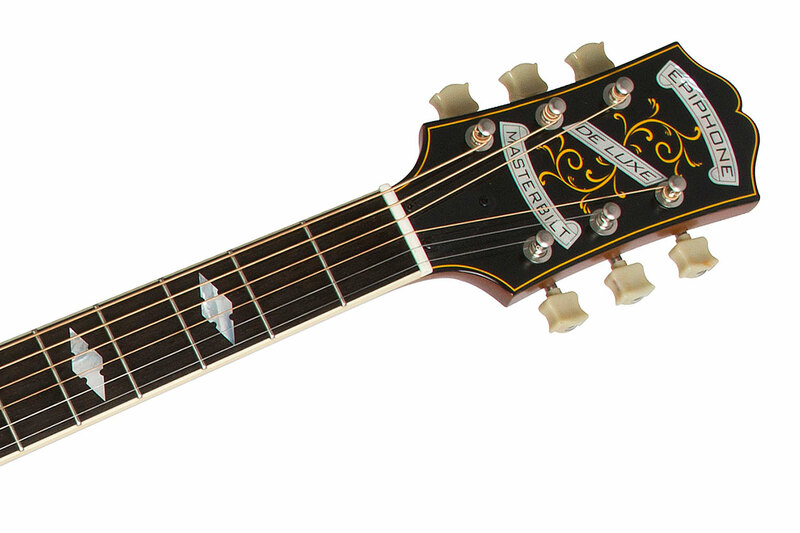 The tuners are mounted on an Epiphone Dovewing headstock with Pearloid "Banner" logos. 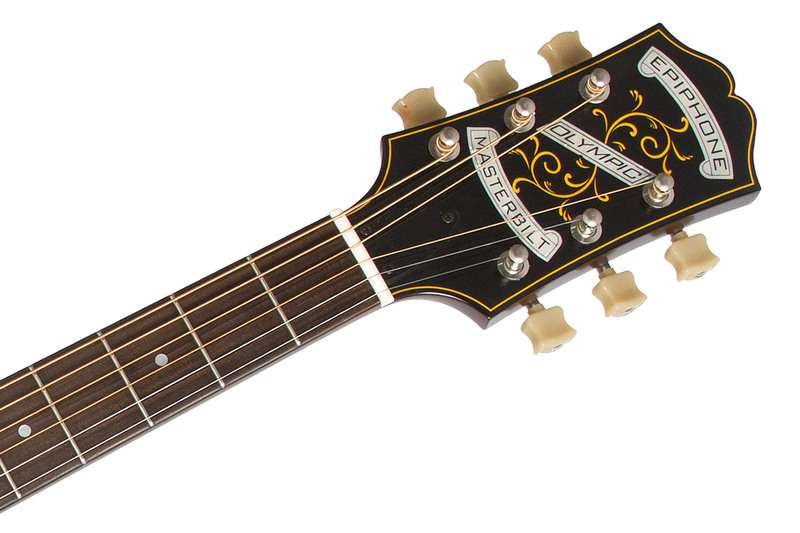 Unlike many vintage archtops, the De Luxe Classic has a dual action truss rod for easy and perfect set-up. The Floating Adjustable Ebonoid Bridge is made from a synthesized material that has the grain-like texture and look of Ebony but is harder and more reliable for years of playing. The historic aged all-nickel Trapeze Tailpiece is also inspired from Epiphone’s vintage Masterbilt collection. 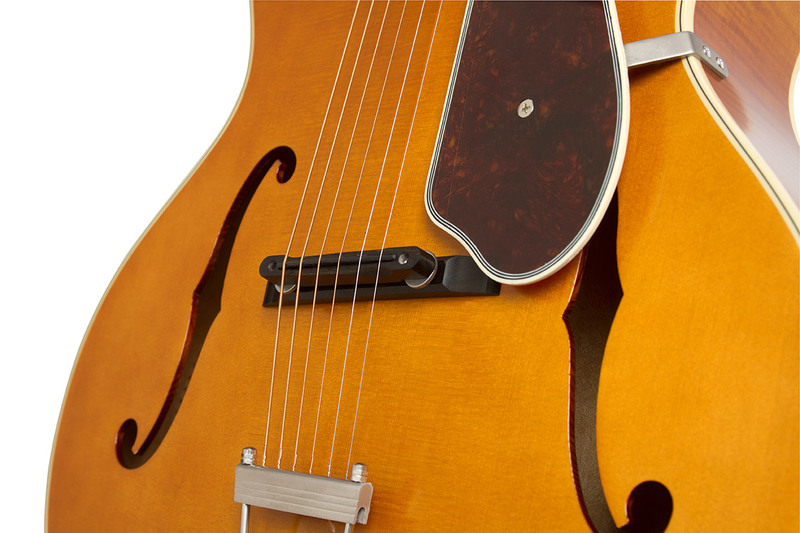 Every new Masterbilt Century guitar is set up at the factory with Cleartone® 12-53 gauge strings. An optional vintage-styled hard case is also available. 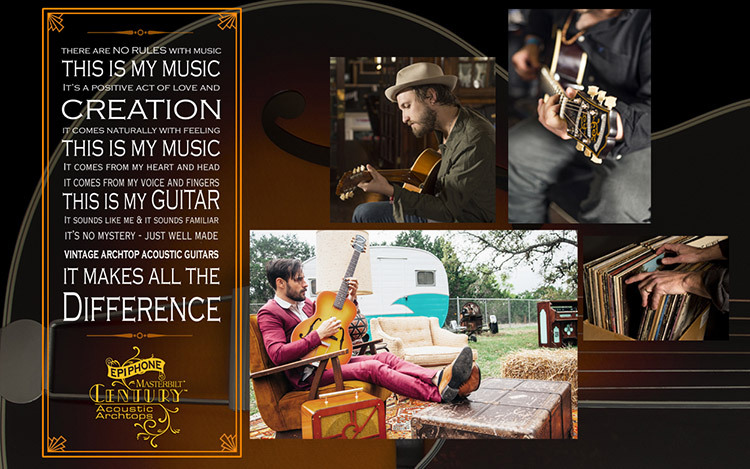 The Epiphone Masterbilt® De Luxe Classic™ Acoustic/Electric Guitar comes with a limited lifetime guarantee and world renown 24/7/365 Gibson Customer Service. 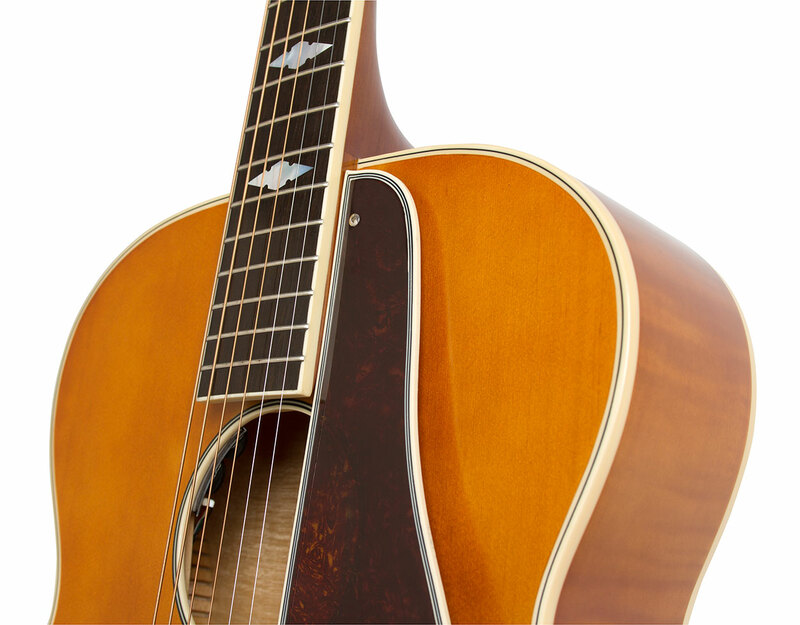 Discover a new world of acoustic sound and style with the Epiphone Masterbilt® De Luxe™ Classic Acoustic/Electric Guitar and try out all the Masterbilt Century Collection instruments at your nearest Authorized Epiphone Dealer. 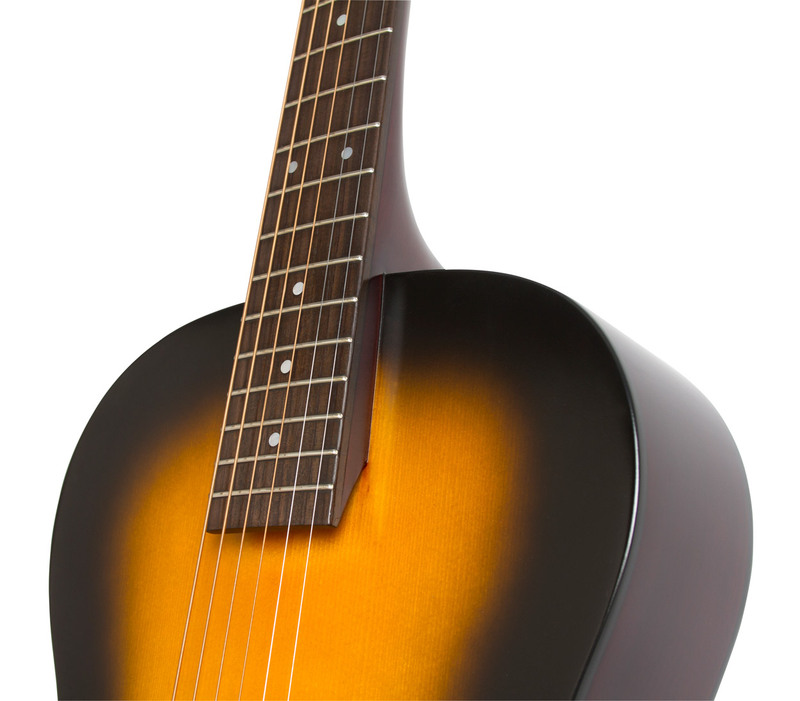 The Masterbilt® De Luxe Classic Acoustic/Electric Guitar is a large body guitar that produces a strong, full tone capable of cutting through any mix. 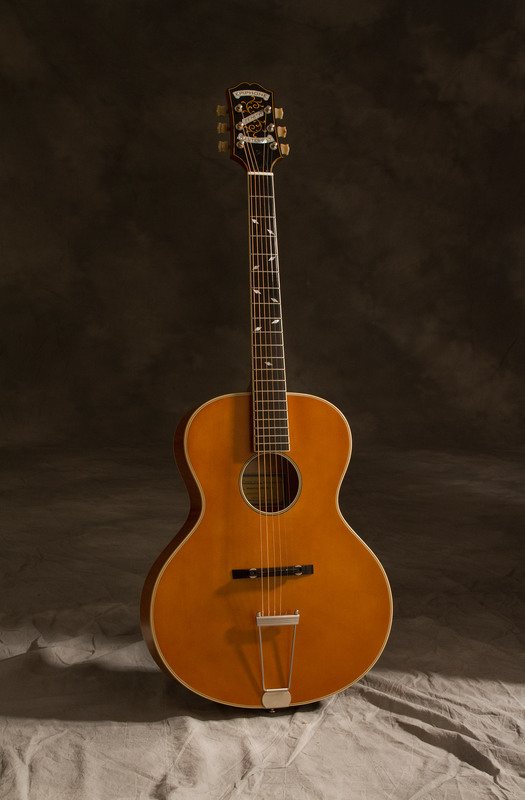 It features an arched Solid Spruce top with traditional Longitudinal Bracing, tortoise style pickguard, and classic f-holes. Inside the upper f-hole is a 1930s era replica Epiphone label. The De Luxe Classic is available in traditional Vintage Natural and Vintage Sunburst aged gloss finishes, each with unique color tones inspired by Epiphone’s priceless vintage collection in Nashville, Tennessee. The tortoise style pickguard comes unattached. 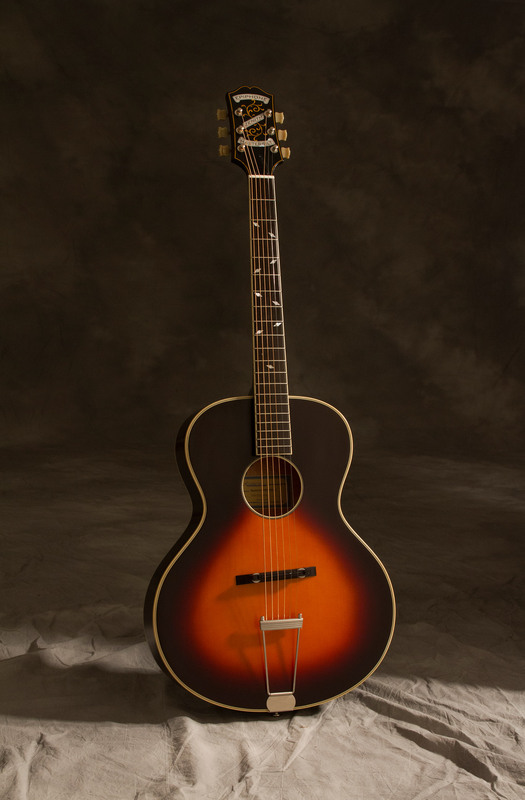 The Masterbilt® Zenith Acoustic/Electric Guitar is a medium-sized archtop with an arched Solid Spruce top with traditional Longitudinal Bracing, a laminated Flame Maple body, and a round sound hole. Inside the sound hole is a 1930s era replica Epiphone label. 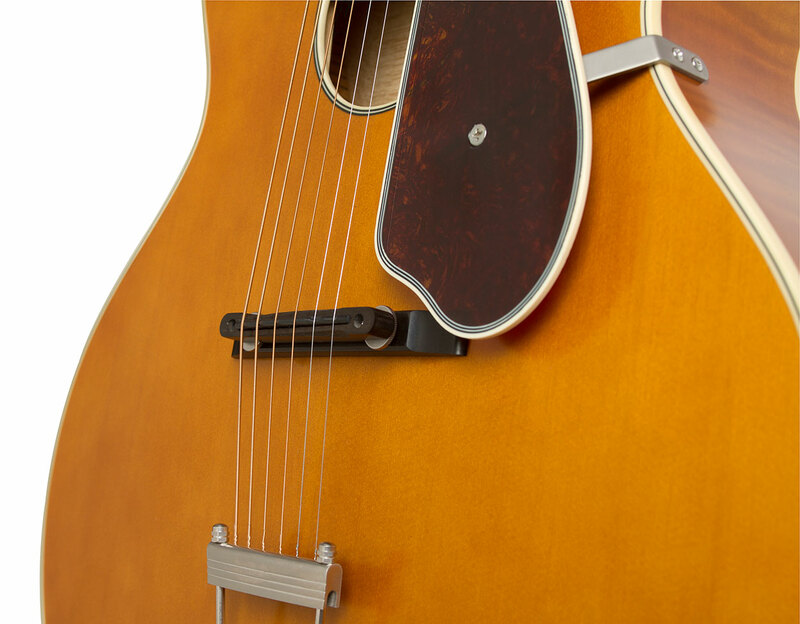 The Zenith is available in traditional Vintage Natural and Vintage Sunburst aged gloss finishes, each with unique color tones inspired by Epiphone’s priceless vintage collection in Nashville, Tennessee. The tortoise style pickguard comes unattached. 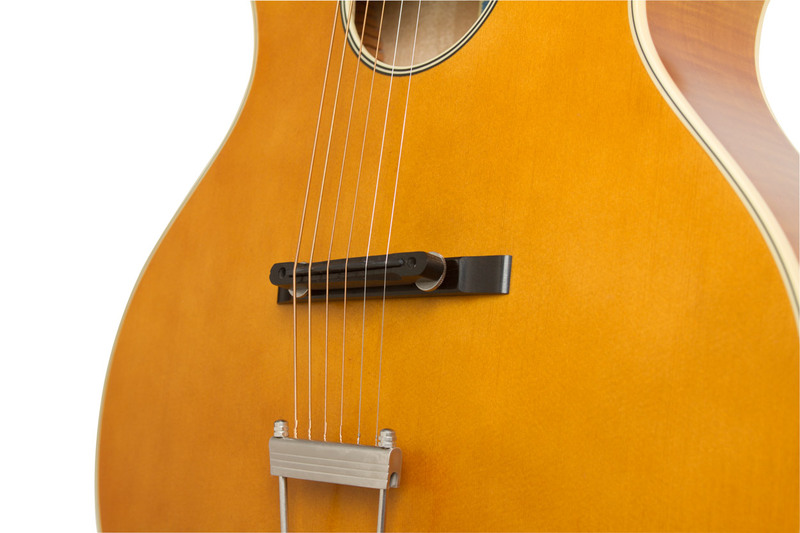 Pickguard hardware comes included. 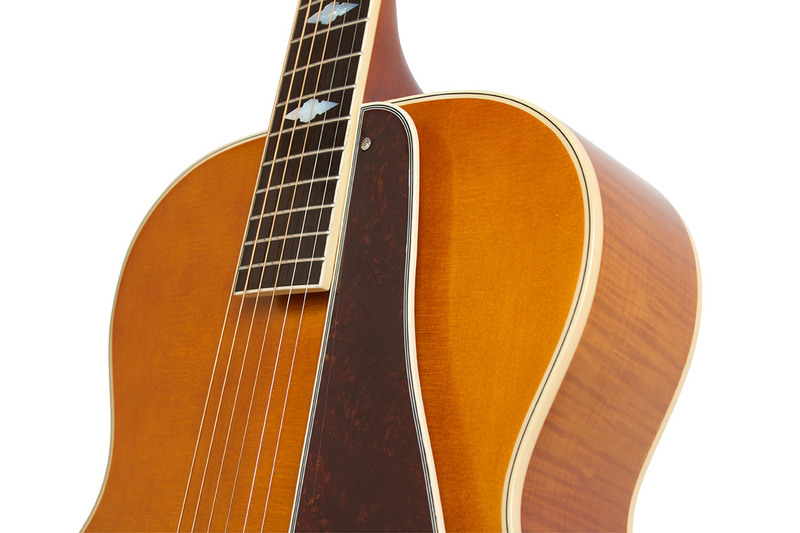 Like Epi’s first generation of archtops, the new Zenith has a unique body profile with a 16” lower bout, a 11.6” upper bout, a 9.4” waist, and a body length slightly over 20”. 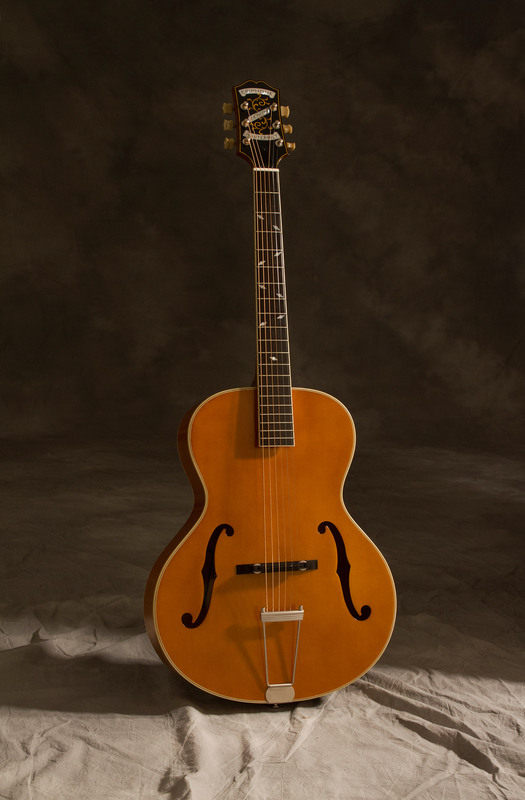 Many archtop collectors consider a 16” archtop the ideal size for its concentrated sonic punch and overall tone. 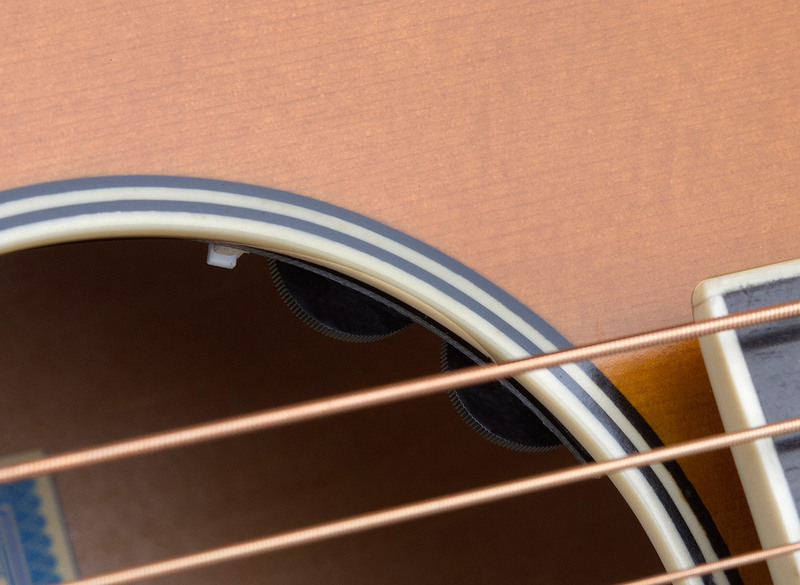 With its round sound hole and Solid Spruce top, the Zenith is an ideal rhythm instrument for singers and soloists with a fuller tone than most archtops. 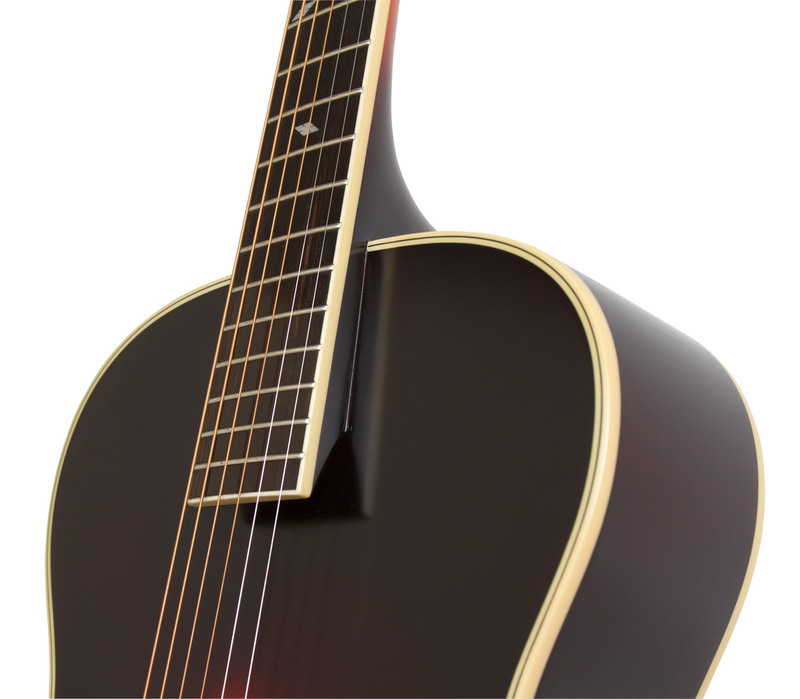 And flattop guitarists will discover it can easily cut through a mix better than most any other acoustic. Both the body and top feature 3-layer Ivory & Black color binding while the Ebony fingerboard has single layer Ivory color binding. The 5-piece Hard Maple and Mahogany neck has a full rounded “C”- profile that is glued to the body with a dovetail joint for a precise fit so the Zenith will resonate as one piece of wood. 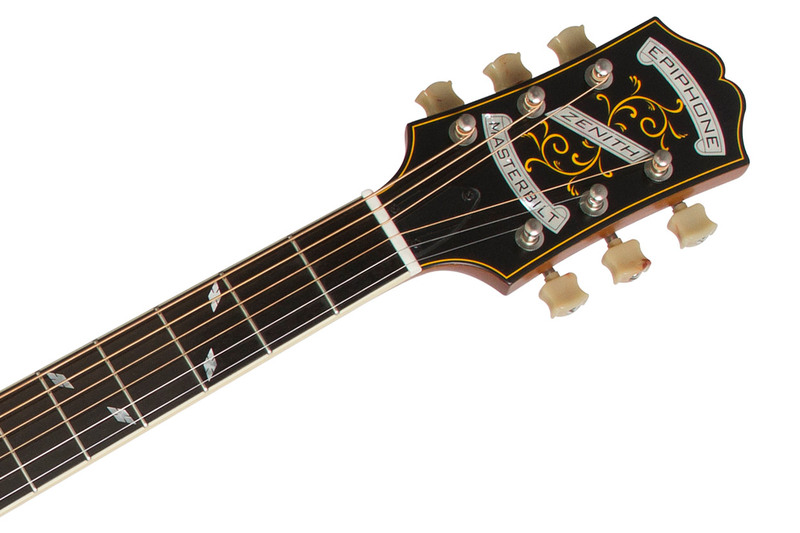 The Ebony fretboard has 20 medium frets, a 25.5” scale length, and pearloid "Falling Snowflakes” inlays modeled after the original Masterbilt Zeniths. The full tone of the Zenith sounds beautiful unamplified on a small stage or in the studio. 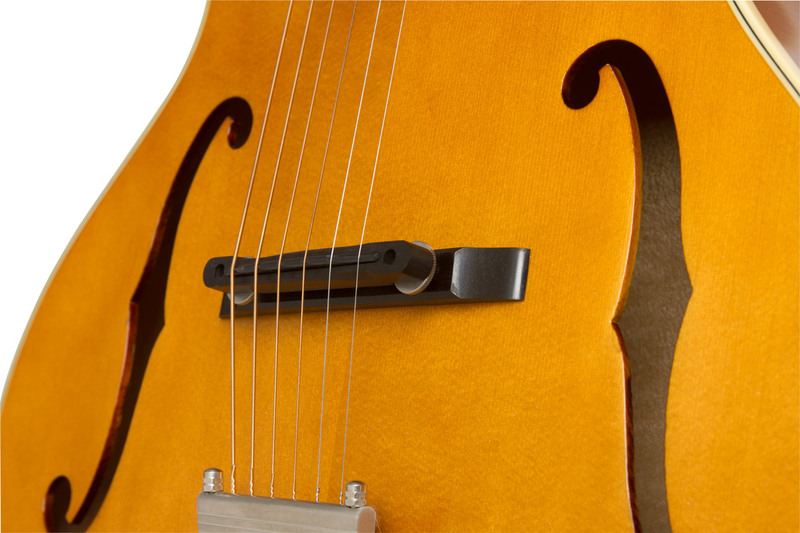 But now the cutting edge eSonic™ HD (High Definition) preamp system and Shadow NanoFlex™ HD Under-saddle pickup make it possible for archtop players to hear their instrument amplified exactly as they hear it unplugged. 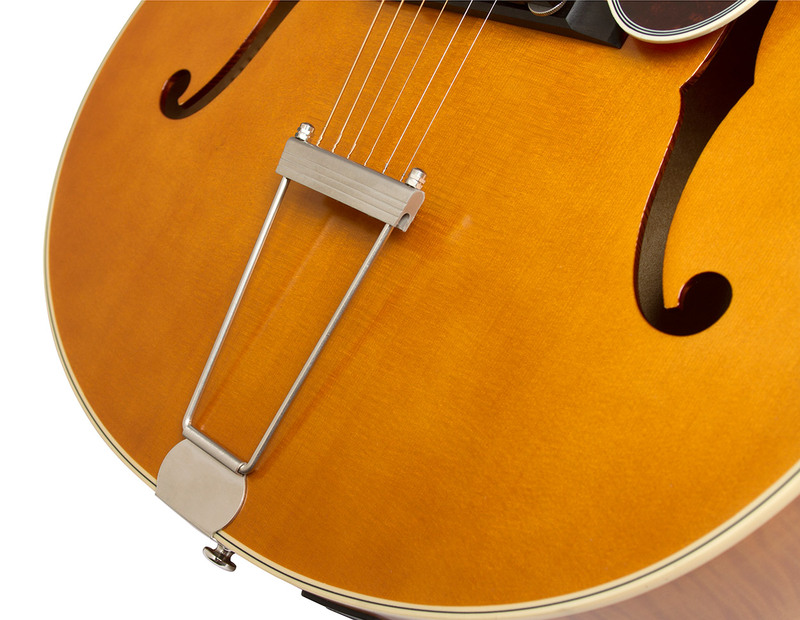 No archtop player has ever heard an acoustic guitar more accurately represented through a sound system before. 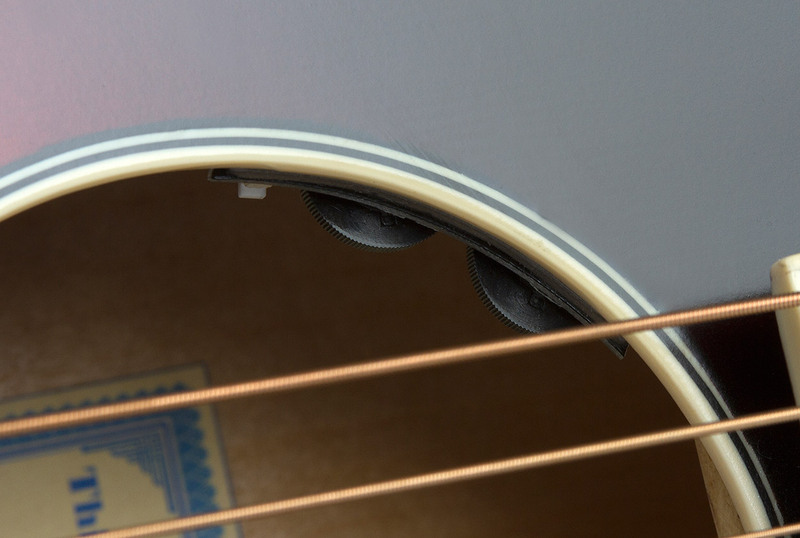 The Shadow NanoFlex HD Under-saddle pickup has easy-to-access controls for Master Volume and Master EQ mounted just inside the sound hole. 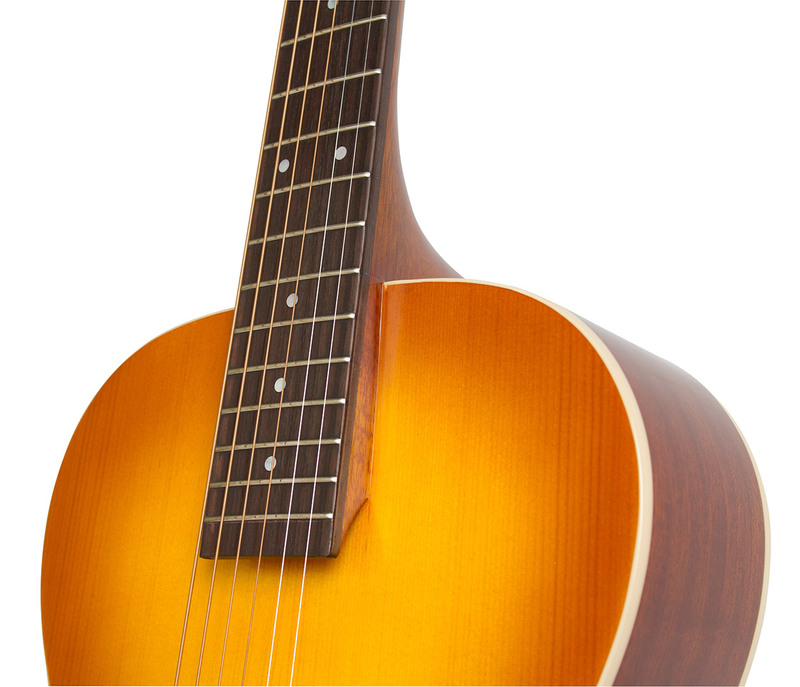 Now you have complete control over how much of the acoustic guitar is amplified. The pre-amp system is powered by a standard 9-volt battery that is easy to access, located near the ¼” output jack. 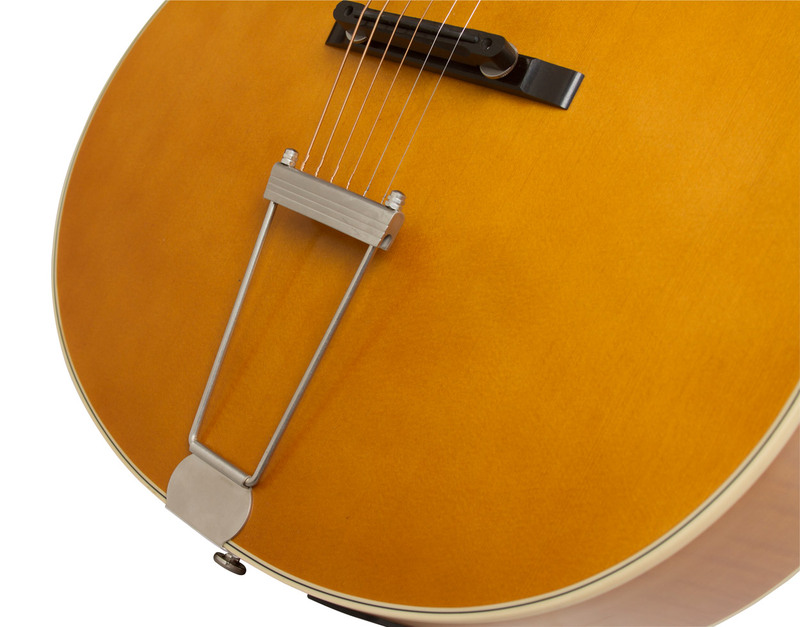 The Zenith comes with Historic Epiphone Re-issue Tuners with Marboloid "Crown" buttons with an upgraded 18:1 tuning ratio for fast and accurate tuning. 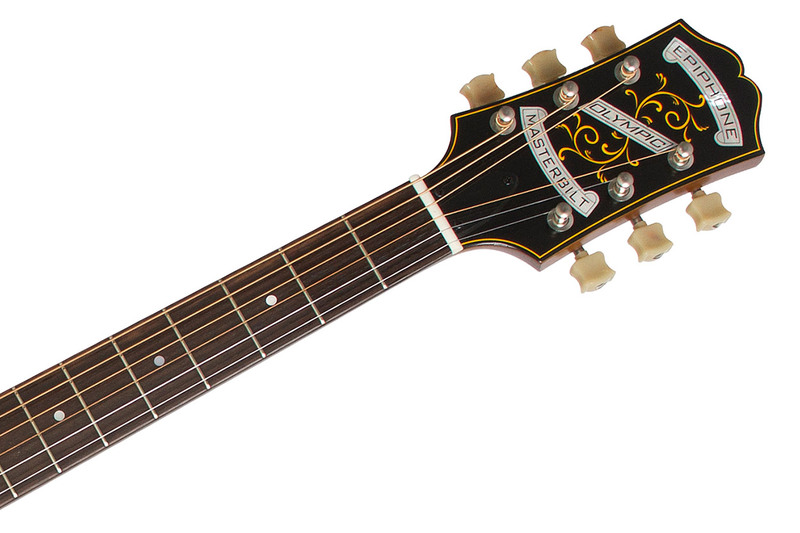 The tuners are mounted on an Epiphone Dovewing headstock with Pearloid "Banner" logos. 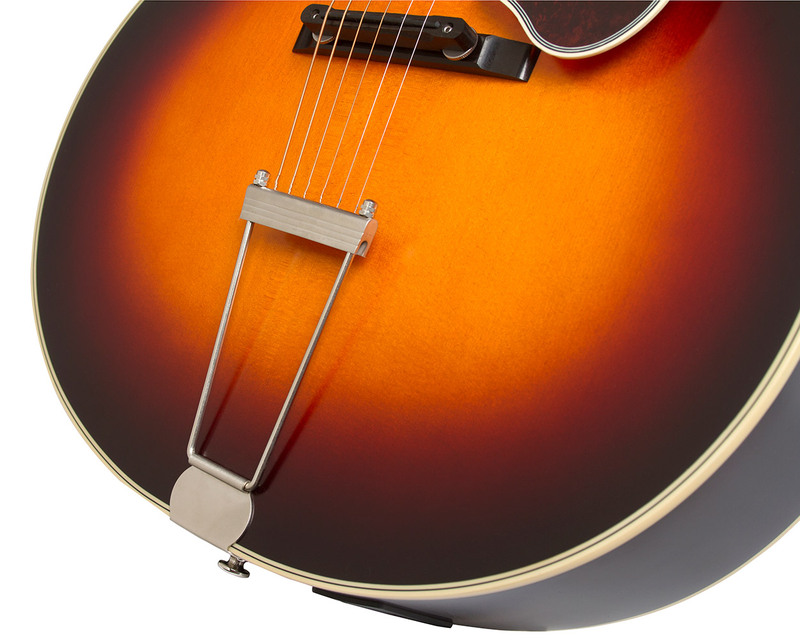 Unlike many vintage archtops, the Zenith has a dual action truss rod to allow for easy and perfect set-up. The Floating Adjustable Ebonoid Bridge is made from a synthesized material that has the grain-like texture and look of Ebony but is harder and more reliable for years of playing. 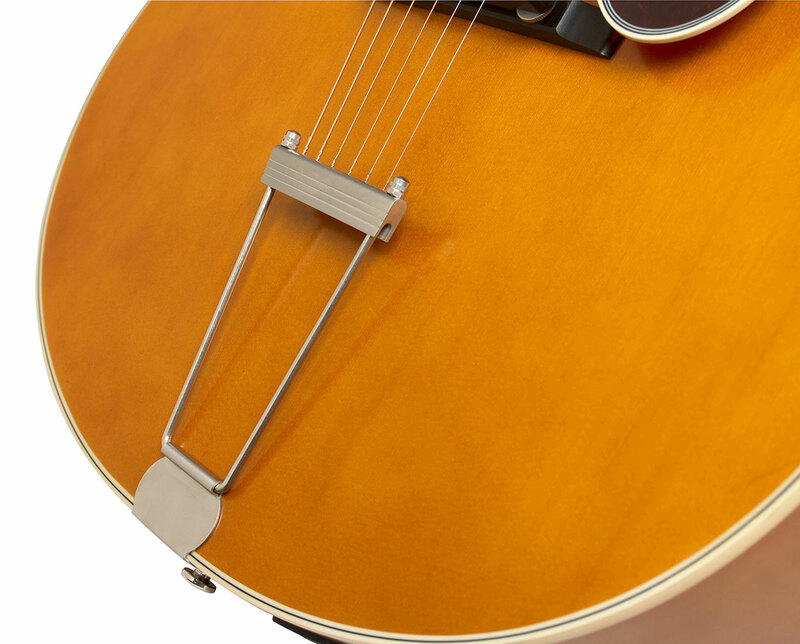 The historic aged all-nickel Trapeze Tailpiece is also inspired from Epiphone’s vintage Masterbilt collection. 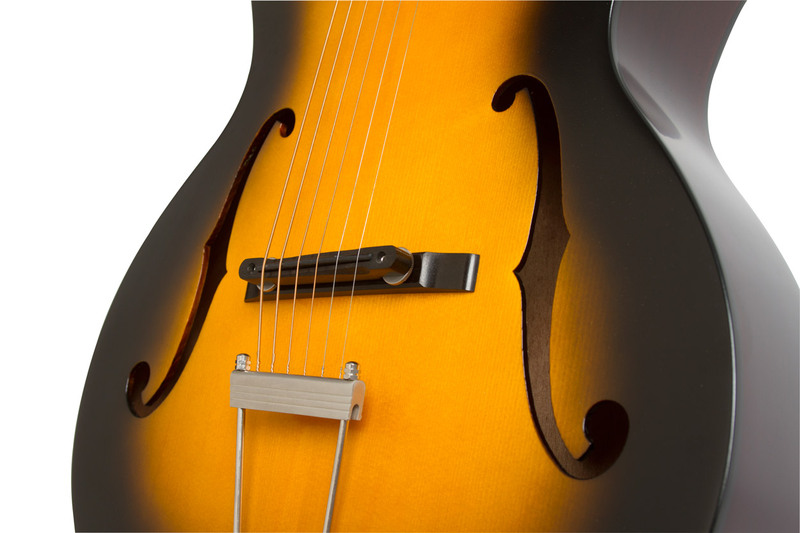 Every new Masterbilt Century guitar is set up at the factory with Cleartone® 12-53 gauge strings. 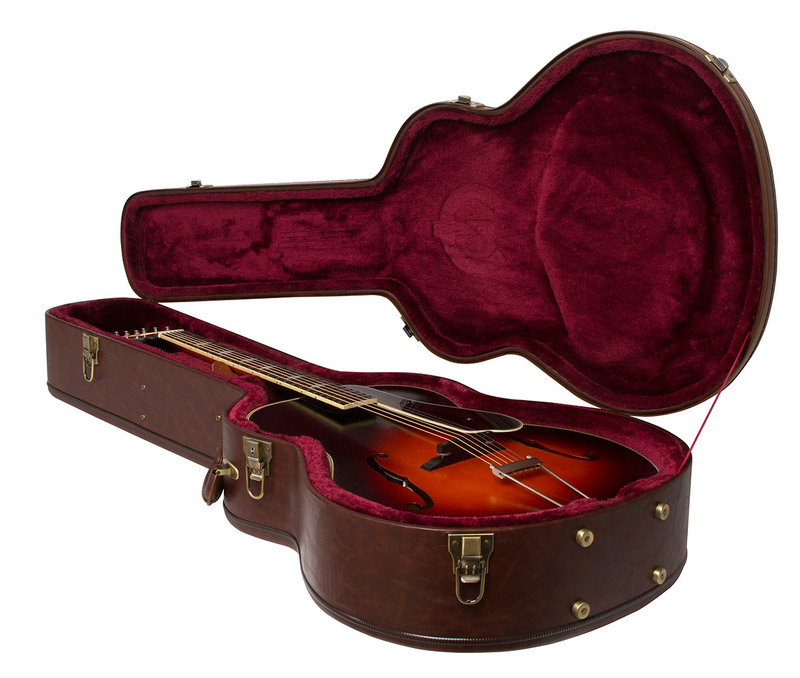 An optional vintage-styled hard case is also available. 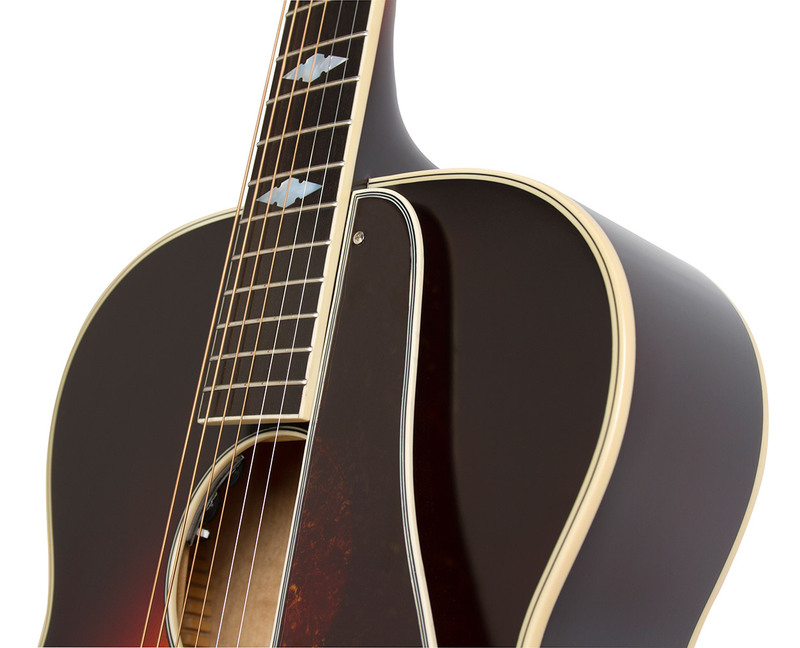 The Epiphone Masterbilt® Zenith™ Acoustic/Electric Guitar comes with a limited lifetime guarantee and world renown 24/7/365 Gibson Customer Service. Discover a new world of acoustic sound and style with the Epiphone Masterbilt® Zenith™ Acoustic/Electric Guitar and try out all the Masterbilt Century Collection instruments at your nearest Authorized Epiphone Dealer. 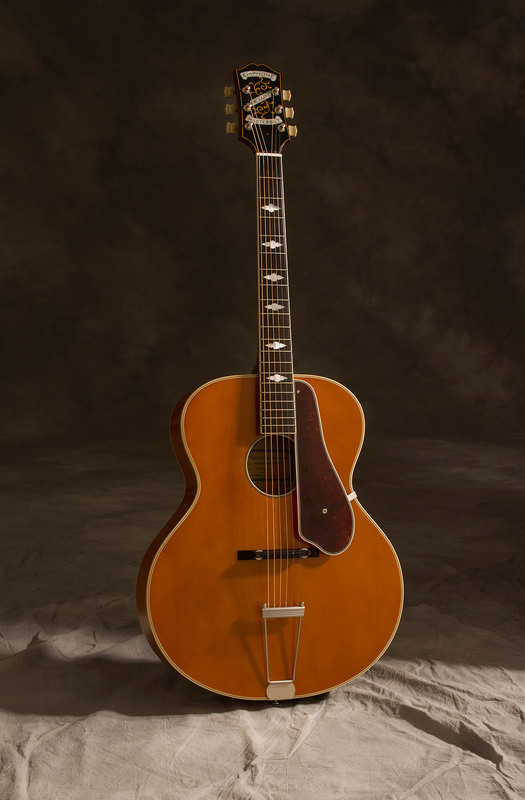 The Masterbilt® Zenith Classic Acoustic/Electric Guitar is a medium-sized archtop with an arched Solid Spruce top with traditional Longitudinal Bracing, a laminated Flame Maple body, and classic f-holes. Inside the upper f-hole is a 1930s era replica Epiphone label. The Zenith Classic is available in traditional Vintage Natural and Vintage Sunburst aged gloss finishes, each with unique color tones inspired by Epiphone’s priceless vintage collection in Nashville, Tennessee. The tortoise style pickguard comes unattached. Pickguard hardware comes included. 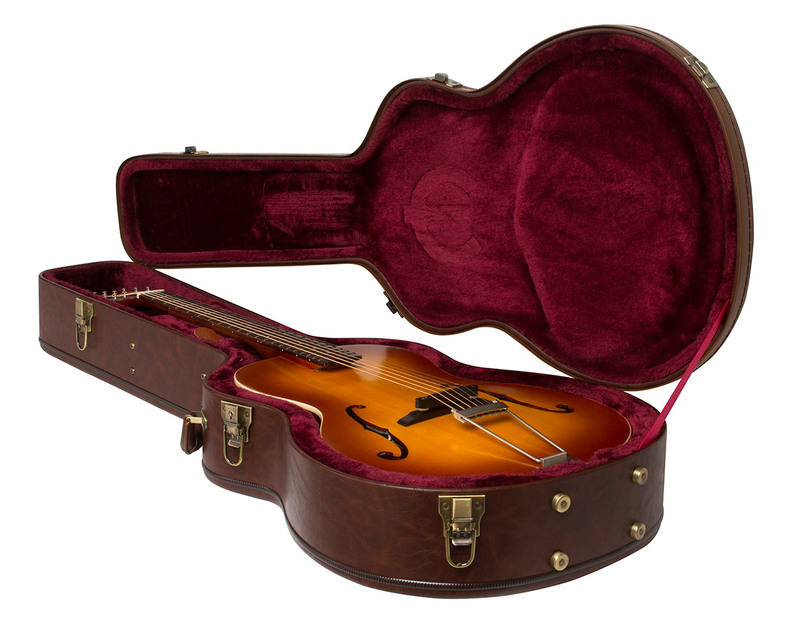 Like Epi’s first generation of archtops, the new Zenith Classic has a unique body profile with a 16” lower bout, a 11.6” upper bout, a 9.4” waist, and a body length slightly over 20”. 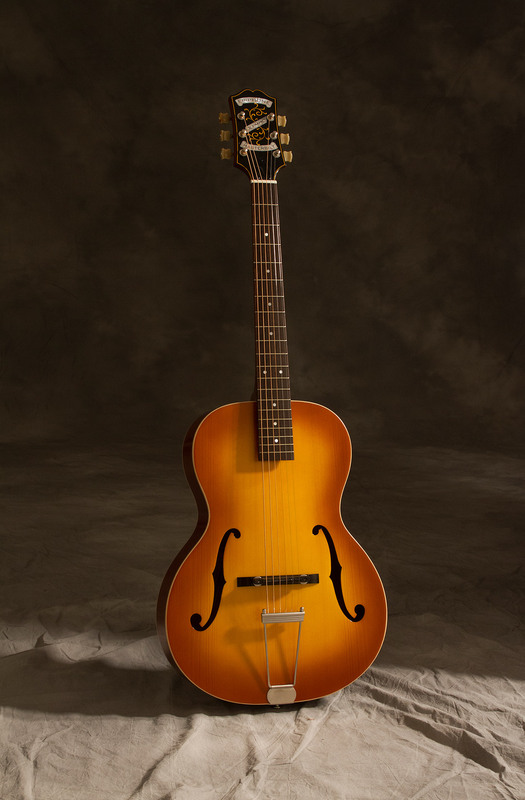 Many archtop collectors consider a 16” archtop the ideal size for its concentrated sonic punch and overall tone. With its signature f-holes and Solid Spruce top, the Zenith Classic is an ideal rhythm instrument for singers and soloists. 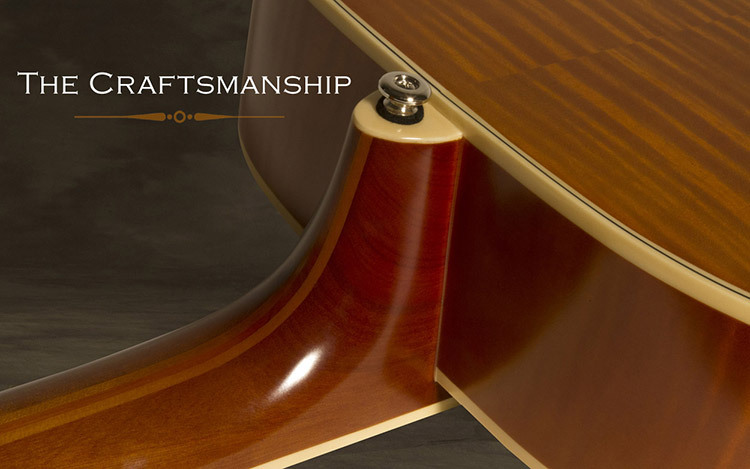 And flattop guitarists will discover it can easily cut through a mix better than most any other acoustic. Both the body and top feature 3-layer Ivory & Black color binding while the Ebony fingerboard has single layer Ivory color binding. The f-holes have 2-layer binding. The 5-piece Hard Maple and Mahogany neck has a full rounded “C”- profile that is glued to the body with a dovetail joint for a precise fit so the Zenith Classic will resonate as one piece of wood. 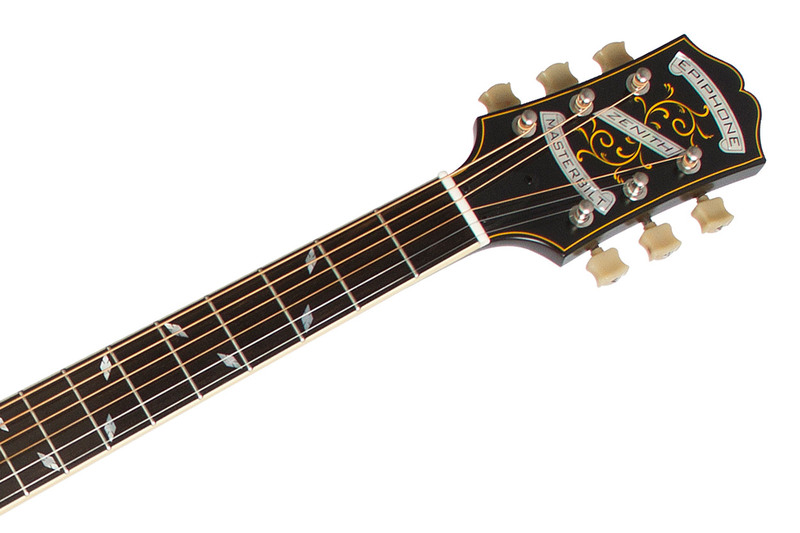 The Ebony fretboard has 20 medium frets, a 25.5” scale length, and pearloid "Falling Snowflakes” inlays modeled after the original Masterbilt Zeniths. The compact tone of the Zenith Classic sounds beautiful unamplified on a small stage or in the studio. 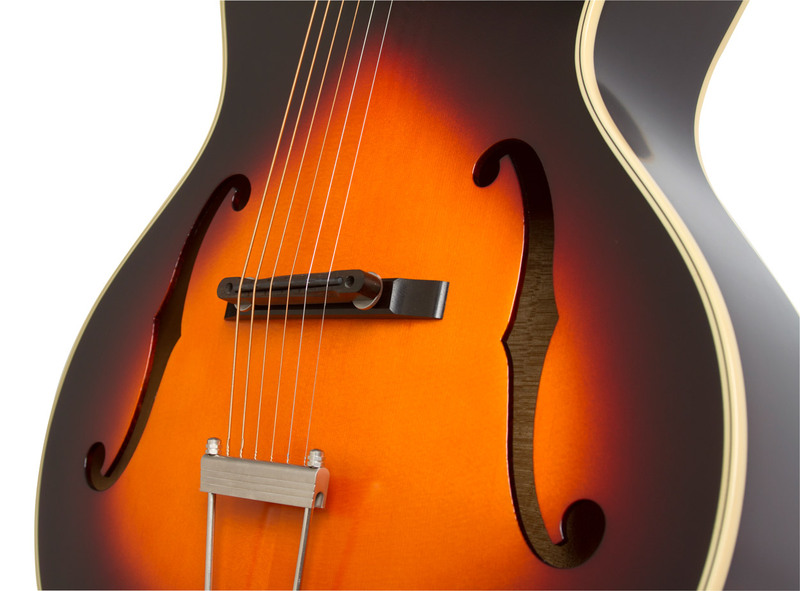 But now the cutting edge eSonic™ HD (High Definition) preamp system and Shadow NanoFlex™ HD Under-saddle pickup make it possible for archtop players to hear their instrument amplified exactly as they hear it unplugged. 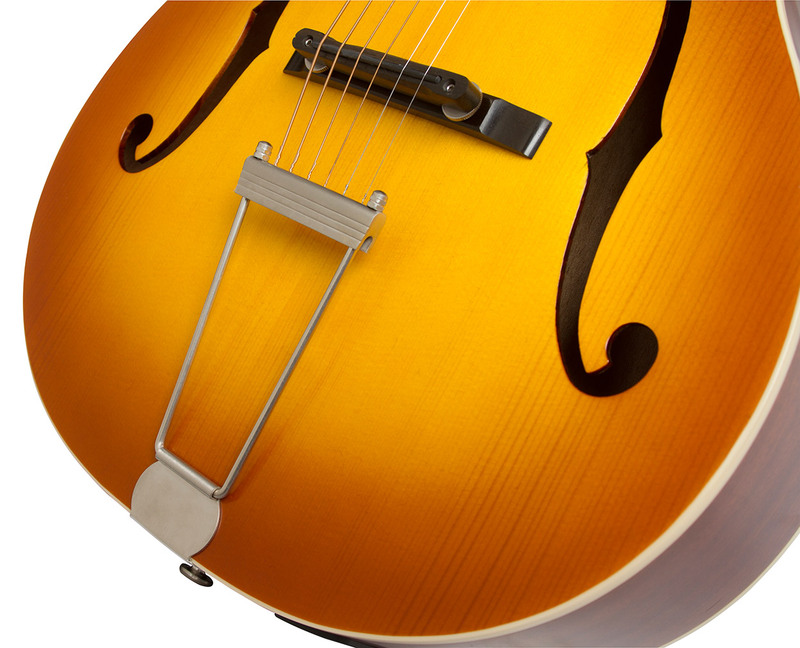 No archtop player has ever heard an acoustic guitar more accurately represented through a sound system before. 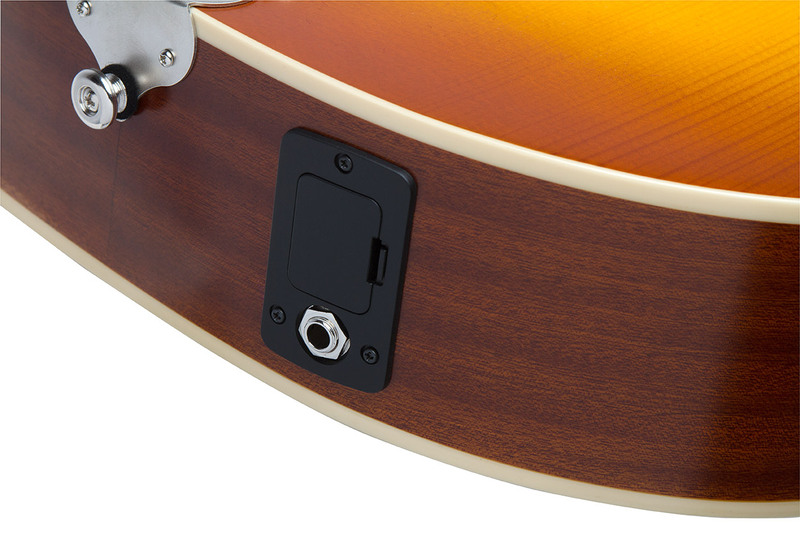 The Shadow NanoFlex HD Under-saddle pickup has easy-to-access controls for Master Volume and Master EQ mounted just inside the lower f-hole. 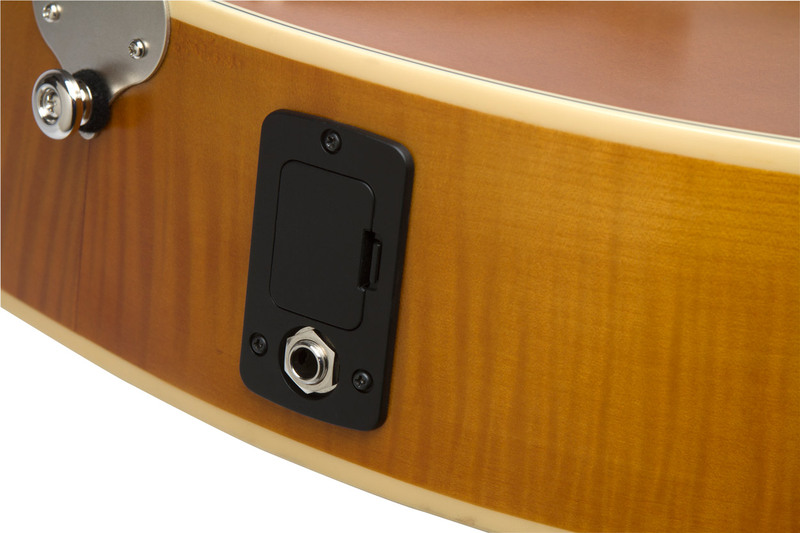 Now you have complete control over how much of the acoustic guitar is amplified. The pre-amp system is powered by a standard 9-volt battery that is easy to access, located near the solid nickel ¼” output jack. The Zenith Classic comes with Historic Epiphone Re-issue Tuners with Marboloid "Crown" buttons with an upgraded 18:1 tuning ratio for fast and accurate tuning. 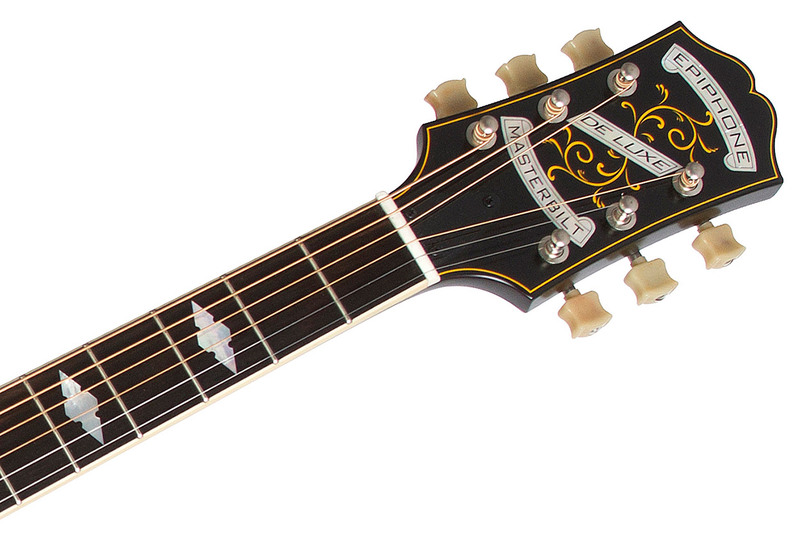 The tuners are mounted on an Epiphone Dovewing headstock with Pearloid "Banner" logos. 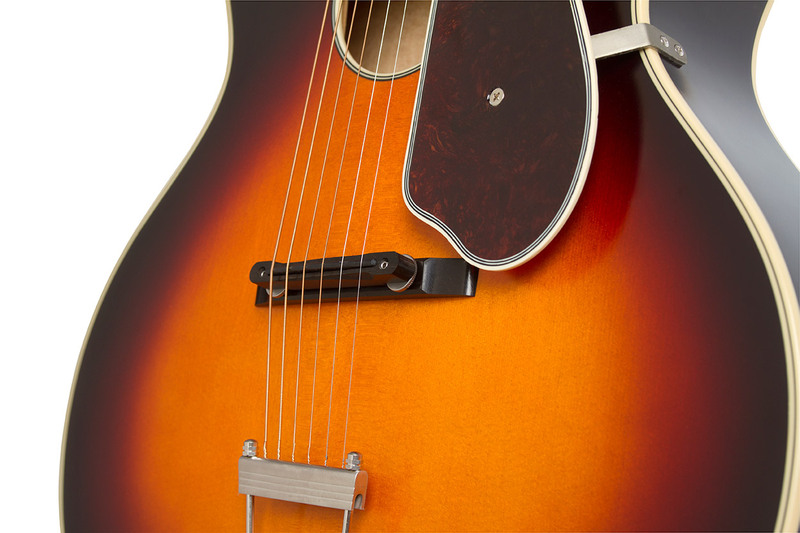 Unlike many vintage archtops, the Zenith Classic has a dual action truss rod for easy and perfect set-up. The Floating Adjustable Ebonoid Bridge is made from a synthesized material that has the grain-like texture and look of Ebony but is harder and more reliable for years of playing. The historic aged all-nickel Trapeze Tailpiece is also inspired from Epiphone’s vintage Masterbilt collection. 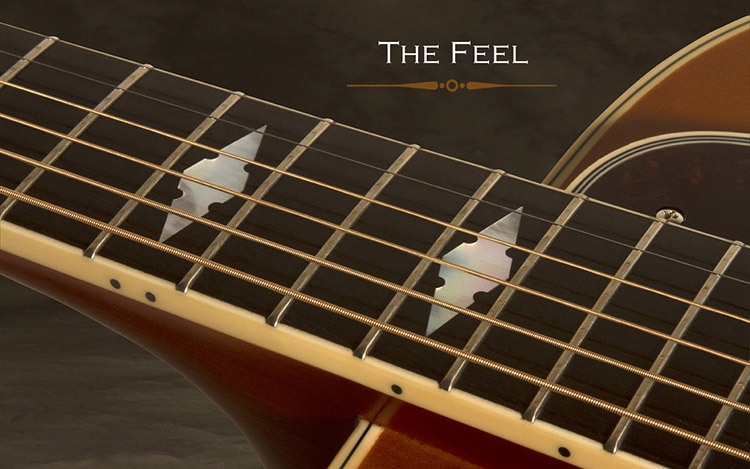 Every new Masterbilt Century guitar is set up at the factory with Cleartone® 12-53 gauge strings. An optional vintage-styled hard case is also available. The Epiphone Masterbilt® Zenith Classic™ Acoustic/Electric Guitar comes with a limited lifetime guarantee and world renown 24/7/365 Gibson Customer Service. Discover a new world of acoustic sound and style with the Epiphone Masterbilt® Zenith Classic™ Acoustic/Electric Guitar and try out all the Masterbilt Century Collection instruments at your nearest Authorized Epiphone Dealer. 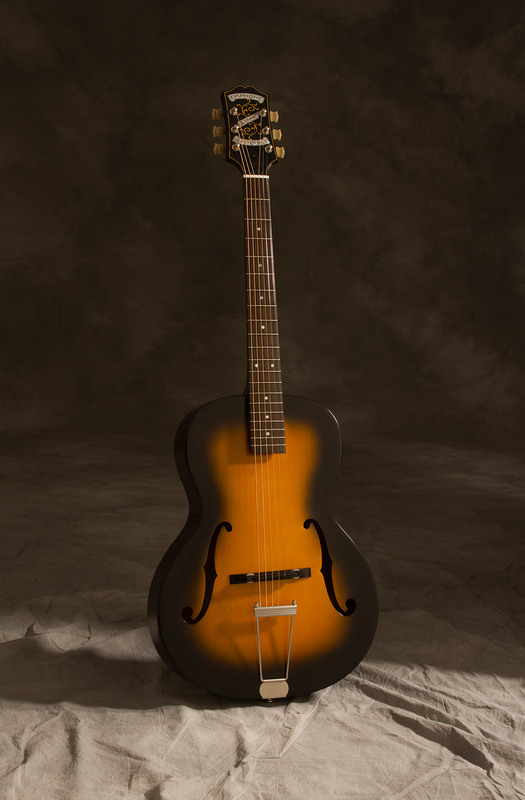 The Masterbilt® Olympic Acoustic/Electric Guitar is a smaller-sized archtop with an arched Solid Spruce top with traditional Longitudinal Bracing, a Mahogany body, and classic f-holes. Inside the upper f-hole is a 1930s era replica Epiphone label. 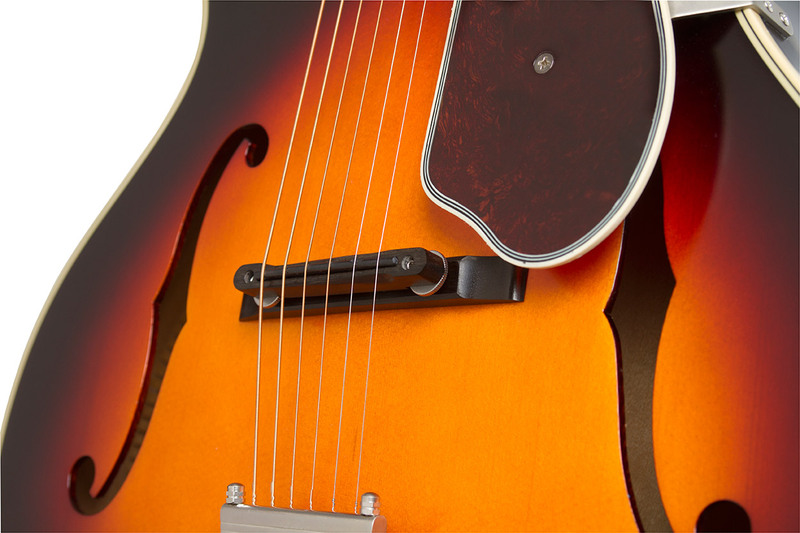 The Olympic is available in traditional Honeyburst and Violin Burst aged gloss finishes, each with unique color tones inspired by Epiphone’s priceless vintage collection in Nashville, Tennessee. The tortoise style pickguard comes unattached. 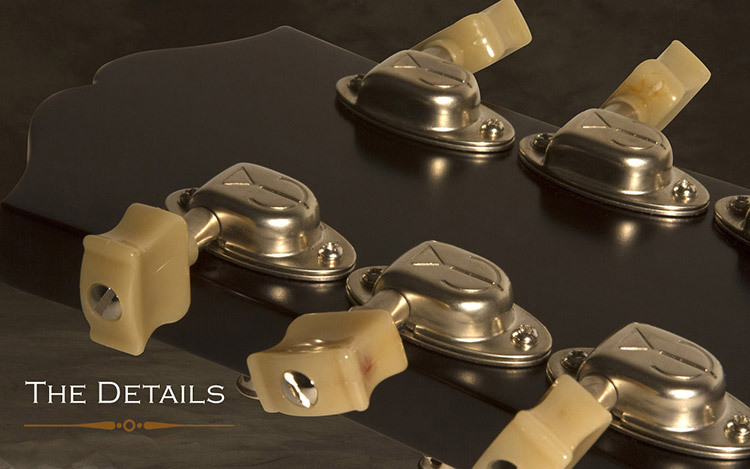 Pickguard hardware comes included. 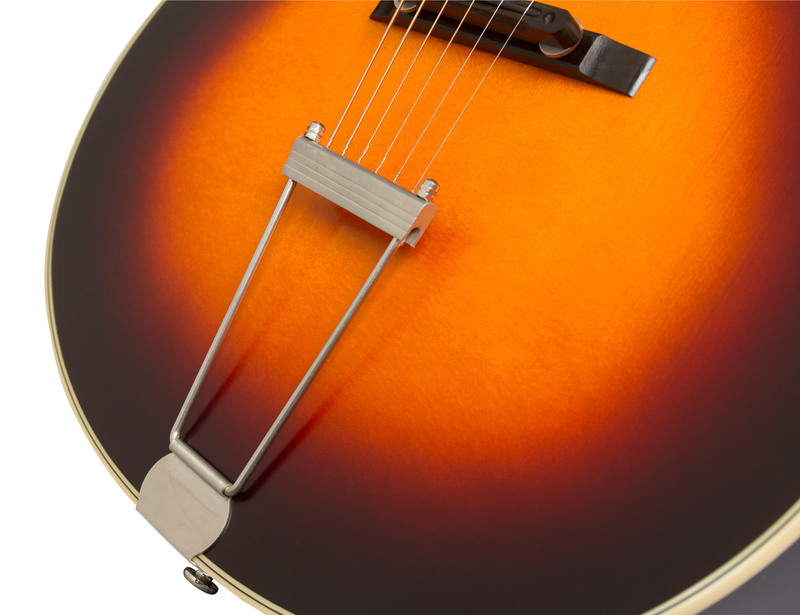 Like Epiphone’s original 30s era Olympic, the new Masterbilt Olympic has a unique body profile that’s smaller than typical archtops but with a tonal range that belies its small size. 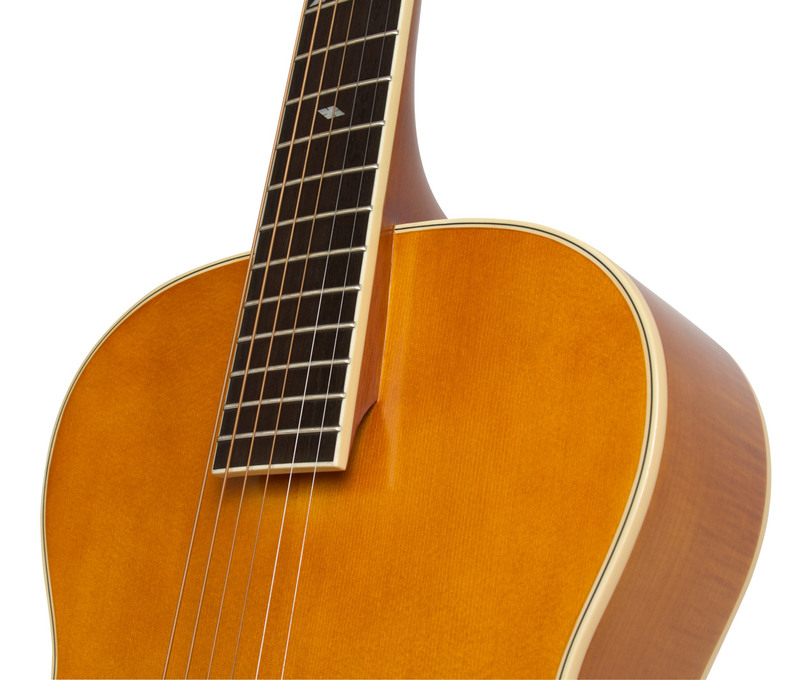 With its signature f-holes and Solid Spruce top, the Olympic is an ideal instrument for singers and soloists. Both the body and top feature single layer Ivory & Black color binding. 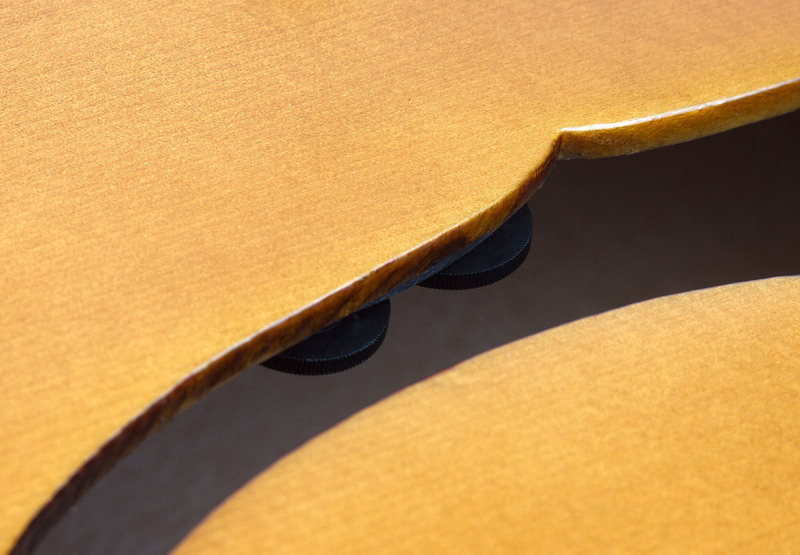 The Mahogany neck has a full rounded “C”- profile that is glued to the body with a dovetail joint for a precise fit so the Olympic will resonate as one piece of wood. The Rosewood fretboard has 20 medium frets, a 25.5” scale length, and pearloid "Dot” inlays modeled after the original Olympics. The Olympic comes with Historic Epiphone Re-issue Tuners with Marboloid "Crown" buttons with an upgraded 18:1 tuning ratio for fast and accurate tuning. The tuners are mounted on an Epiphone Dovewing headstock with Pearloid "Banner" logos. 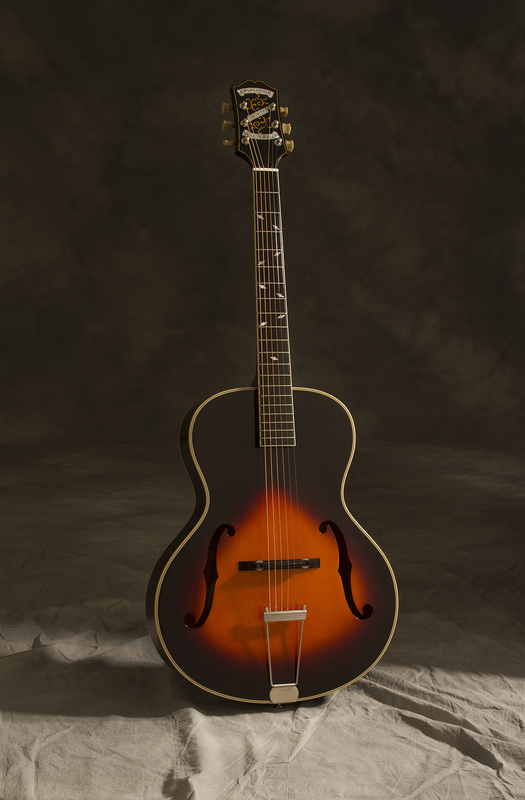 Unlike many vintage archtops, the Olympic has a dual action truss rod for perfect set-up and action. 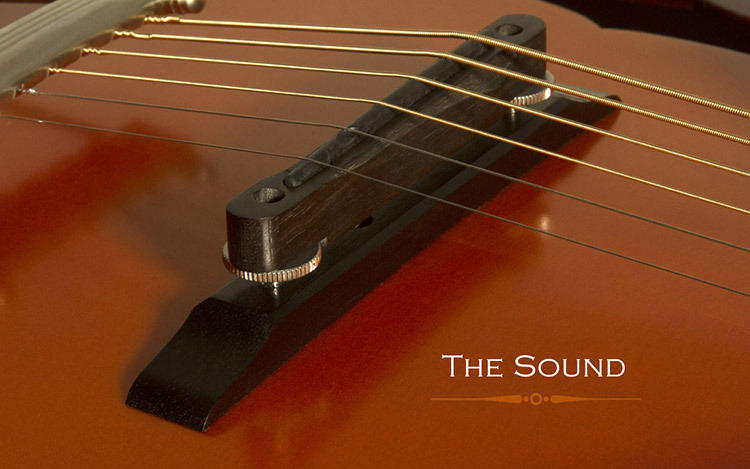 The Floating Adjustable Ebonoid Bridge is made from a synthesized material that has the grain-like texture and look of Ebony but is harder and more reliable for years of playing. The historic aged all-nickel Trapeze Tailpiece is also inspired from Epiphone’s vintage Masterbilt collection. 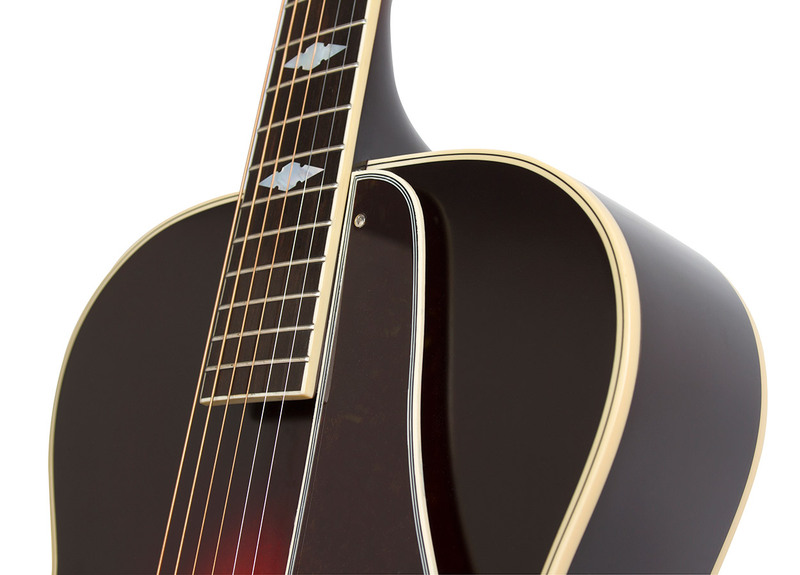 Every new Masterbilt Century guitar is set up at the factory with Cleartone® 12-53 gauge strings. An optional vintage-styled hard case is also available.